I never had money. I had a family that was not obsessed by money, but concerned – my father – about debts he had to pay back. His cousin was a Broederbonder who cheated him; horrible! My mother, a refugee from Germany, was incredibly generous. When I started working at the theatre, R20 a week at the Space Theatre… then when I did my first one-man show, suddenly overnight, I went from R20 a week to R15 000, in 1981! That was unbelievable! My father phoned me and said ‘Pietie come home’ because he threw me out. And my joy was to support him for the rest of his life. This week Whitfield interviewed social activist/satirist Pieter-Dirk Uys. Uys was born in Cape Town on 28 September 1945 to Hannes Uys, his Afrikaner father, and Helga Bassel, his Berlin-born Jewish mother. His family was religious (Dutch Reformed) and his mother strongly encouraged him to embrace the Afrikaner culture. Uys is probably most well known for his character Evita Bezuidenhout (also known as Tannie Evita, Afrikaans for "Auntie Evita"), a white Afrikaner socialite and self-proclaimed political activist. Uys made a name for himself under apartheid by using comedy to criticise and expose the absurdity of the South African government's racial policies. He lives in Darling in the Western Cape, where he converted an old railway station into a cabaret venue called “Evita se Perron” where he performs regularly. But what is it that Uys believes about money? 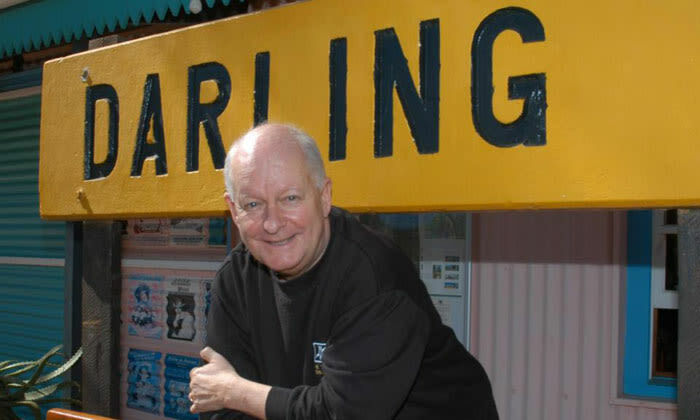 Darling is English for 'skattie'! The longest street in Darling is called Evita Bezuidenhout Boulevard! Money can make dreams come true. The more money you have the more you have to concentrate to protect it. Mad is good! When people say ‘you’re mad’, I know I’m on the right track.